Home / Latest / Nana Patekar / Tanushree Dutta / Nana Patekar is indecent, crazy but can’t do such a thing’, says Raj Thackeray on Tanushree Dutta’s allegations! Nana Patekar is indecent, crazy but can’t do such a thing’, says Raj Thackeray on Tanushree Dutta’s allegations! Bollywood actress Tanushree Dutta is currently breaking the headlines as she recently accuses Nana Patekar of harassing her on the sets of the 2008 film Horn Ok Pleasss. While many have comes out in support of Tanushree. While, many are still maintaining stoic silence over the controversy. And now, reacting to these allegations, MNS party chief, Raj Thackeray comes out in open and talks about the same. 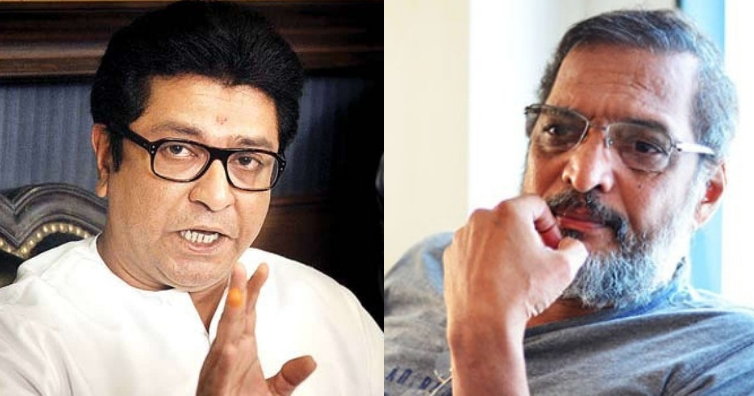 Thackeray said that Nana Patekar is an ‘indecent’ man and does some crazy things. However, the MNS party chief believes that Nana cannot do such things as sexual misbehaviour. “I know Nana Patekar; he is indecent. He does crazy things but I don’t think he can do such a thing. Court will look into it. What is the media to do with it? #MeToo is a serious matter, the debate over it on Twitter isn’t right,” Raj Thackeray was quoted as saying by Times Now News. He further said that if any woman faces something unwarranted, she can approach the MNS for help. Thackeray also stated that women should raise their voice as and when they face oppression, and not after 10 years. “It seems it is being done to divert attention from petrol price, rupee value, and unemployment. If anything like #MeToo happens, women can come to MNS. We will teach a lesson to accused. Women must raise the voice when they face oppression, not after 10 years,” the MNS Chief said. The #MeeToo movement get momentum in India after Tanushree Dutta spoke up against Nana Patekar almost two weeks ago. Recently, a lot of such cases have come to the fore, with big names like Alok Nath, Kailash Kher, Rohit Roy, Rajat Kapoor being accused of harrasement by women.